Domov > News > New interactive portal: Bringing the results closer to you! New interactive portal: Bringing the results closer to you! 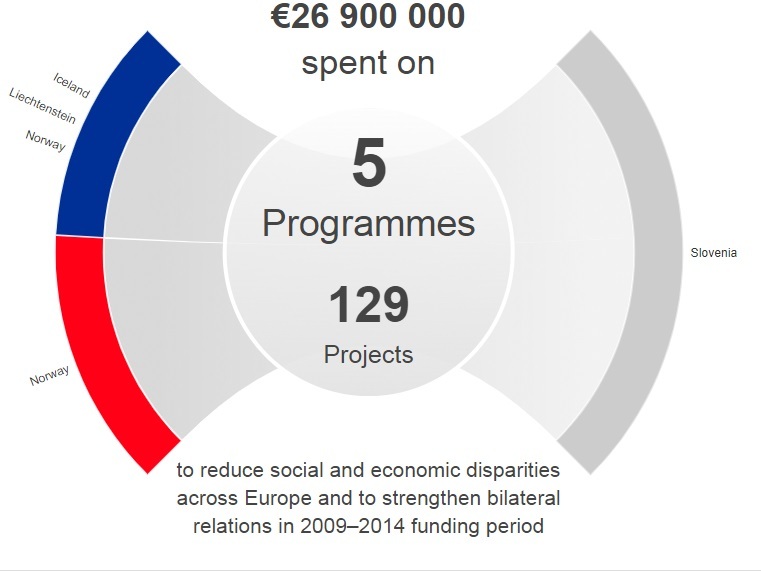 Do you want to know how many projects we’ve funded in Slovenia? Are you curious about how many green jobs we’ve created? Or are you interested in finding out how many organisations in Slovenia and Norway work together? Now you can find all this information in one place. With the new interactive data and results portal you can easily explore the results achieved through our programmes and projects across Europe. We set out on this project with one goal: To make information about how the EEA and Norway Grants have been spent as easily accessible as possible. With the Grants view you can see what has been funded in each beneficiary country. This includes the funding amounts across countries and sectors, as well as the relevant result indicators. The portal’s project view allows you to discover where in Europe our projects are located. You can also read about the achievements of selected projects. The portal’s partners view shows you how organisations in the beneficiary countries work together with their counterparts in Iceland, Liechtenstein and Norway.